The Modern Opulent Outfits - Mage Robes of Winterhold 2018 for SSE. A completely overhauled and modernized version, of the original 2013 Opulent Outfits by Babooncru. 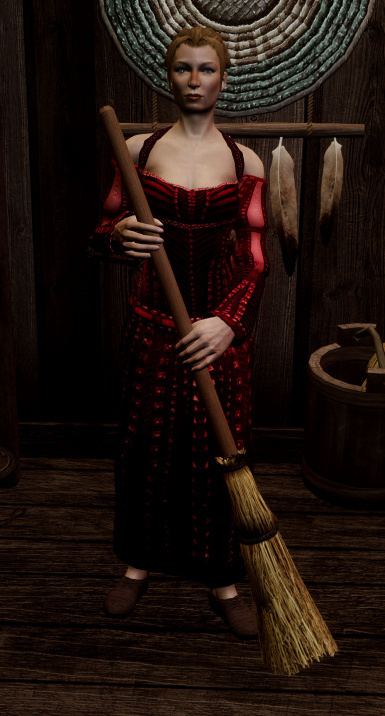 Featuring elaborate, high quality and lore-friendly Mage, monk, necromancer and maids and merchant outfits in a variety of styles, and colors. All the files I work on and maintain, are NEXUS exclusive. - So please stop asking for Xbox conversions, permissions to move them to Bethesda.net etc. Thank you. 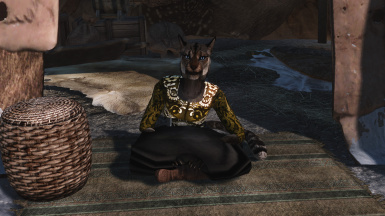 Raumfliege - for his work on the Argonian Khajiit hood fix and invaluable help on some other issues. [AIO-Replacer] Added sort-by-slot tag to Opulent Mage gear. Items will appear in your lists in the same order as they are worn, IoW, head-to-toe. Opulent vendors items format remains unchanged. [AIO] Repriced the Maid&Merchants dresses to more accurately scale their relative values and quality in a more immersive way. 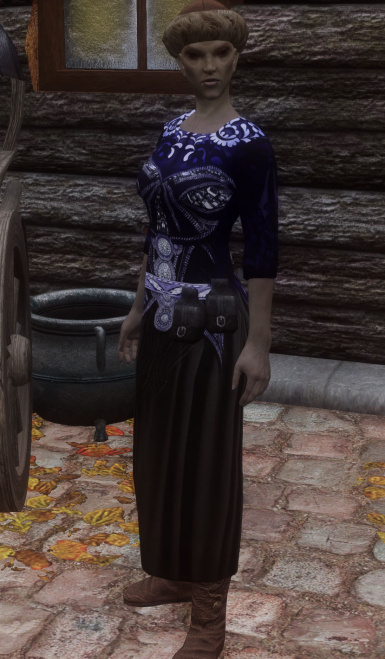 [AIO] 11 Npcs were given new dress assignments (Maid&Merchants) to better match the npcs wear to their relative status\positions. -Added AI overhaul support to Opulent outfits -current version 1.0.8. Simply install the ESP that matches your load order. [AIO] Redid about 1/2 of items naming. Looks cleaner. [AIO] Some pricing changes on a few items. [AIO] Fixed that world model this time, really. [ALL] Added a perk to Marcurio he was supposed to get in an eariler update. This update tidies up a few things, fixed a couple of minor issues, and even adds a bit more Opulent background flavor to the world. Barring any USSEP type updates or Babs coming out of retirement with new textures or something like that, this release should be more or less final in terms of its general feature set. Added ESPs to support AI overhaul . Only MAIN Esps currently. They will not work with the CRF-IB esps. Under the hood fixes, mostly related to the mods texture sets and fixed the missing Monk robe inventory model not displaying (at all). Normal Maps Update file. Fixed the excessive shine, gloss on the Brown Monk Hood. [New] Added a few new NPCs to OO and provided them with Opulent Outfits, appropriate to their situations. Some NPCs in the game, have had their outfits updated. These newly added NPCs, or outfit changes, are CASTER only. Maids and Merchant content and NPCs, no changes. [OO-Fix]. Fixed weight of the Hooded Arch-mage robe, that had accidentally been set to zero. [OO-Fix] Improved the naming format for most Opulent items. This will keep the Opulent named enchanted robes, dresses, and monk-style robes separated in lists. [Fix-Updated] Leveled Lists - Merchants. Addresses a few issues with leveled lists and merchant stock. [Feature] Made a number of changes to the composition of the outfits assigned to *caster* NPCs. Most of these changes are fairly subtle and wont directly impact the player. The master level trainers, all have top-tier opulent gear in their outfit sets, experts 1 tier down, and novices, rank I type items. [Feature-New] Caster NPCs covered by this mod, should now benefit *fully* from their worn enchantments and gear. Unlike vanilla, where NPCs only receive partial benefit from worn and equipped items. This includes the recruit-able CoW NPCs. 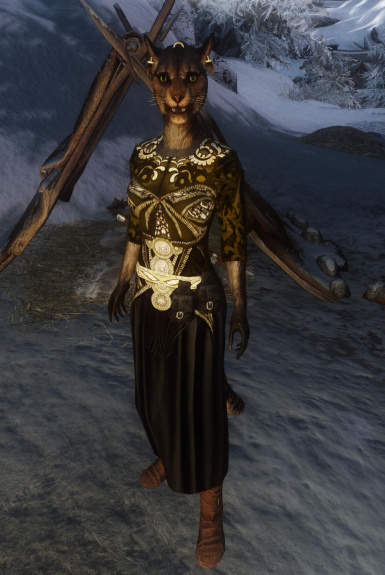 [NPC] Nirya has been added to the Potential Marriage Faction by default (CRF feature). [Items] Opulent Hoods have had their magic effects retuned slightly. Price adjustments on some items. [UI] Vendor Opulent items will now sort separately and to the bottom of your armor list, not the top. Minor formatting changes to a few listings. Updated leveled lists and merchant lists. Corrected some content appearing much earlier than intended. 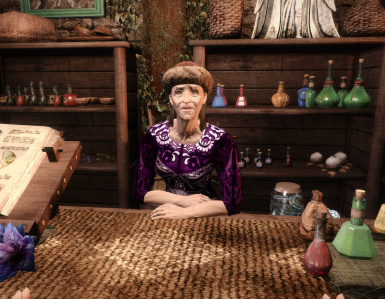 Many of the lower tier merchants, caravans and spouses will not offer Opulent Mage gear for sale at all. 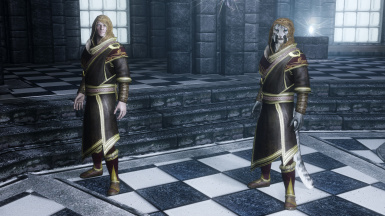 Upper tier merchants, such as Radiants Raiments, have had Opulent mage robes content removed as well. 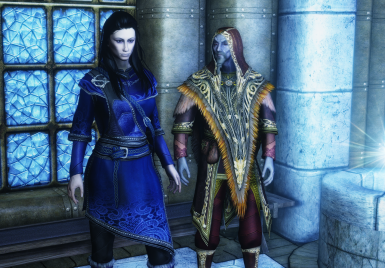 The sale of Opulent goods are now largely focused on the College of Winterhold and Court Wizards. Court Wizards inventory varies greatly and they generally carry LESS variety than the various masters at the college. This is by design. ALL) Mastery Robes I > IV now use a common design-female only. 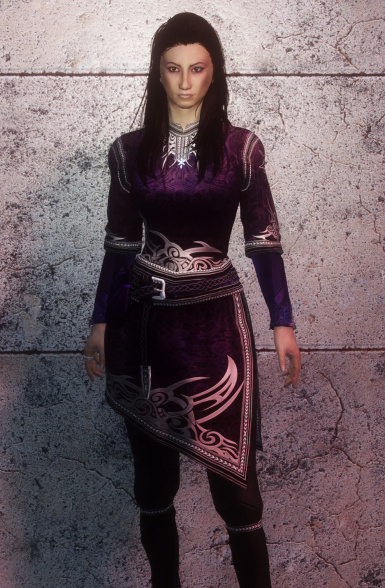 (AIO) Added the 'light' colorations to the some of the Maid&Merchant [email protected] Raiment. You can now choose between the 'dark', or lighter coloration schemes, to better suit your games lighting, or even just for preference. (ALL) Restored Opulent Outfits support for hoods w circlets (again). This was intended to be an Opulent feature all along, but I inadverently removed this functionality in an eariler update. (AIO) Updated normals for Maids and Merchants content. (ALL) Made a number of changes to the Opulent vendor, Melisaands, configuration. She is now ESSENTIAL, not invulnerable. Removed a keyword that *may*(?) have been making her a target of Hired Hands (CR04) companion quest. (ALL) Adjusted vendors merchant lists to modify distrubtion of some Opulent content. (ALL) Improved naming and sorting coventions for a number of items, as well as some price, stat adjustments. -Added completely redone normals for all Opulent content. These should result in greatly improved visuals, esp the mage robes. They are a seperate DL for now. The D/L can applied to ALL main files. The sperate D/L is an INTERIM, and the content will be rolled into the main AIO and Replacer files in a future update. Planned (v5.0). These Normals are the highest possible quality, and are UNcompressed. If you find they impose too much overhead(they should not but), you can always elect to un-install and wait for the optimized, full release, slated for v5.0. 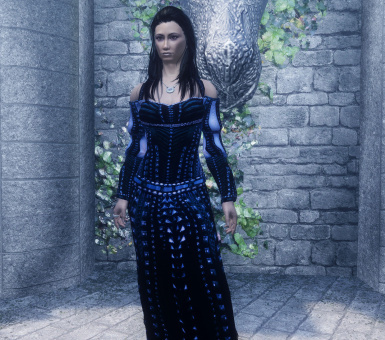 I also fixed the 'blue' Opulent Dress II, it was actually rather PURPLE in color, not really 'blue' at all. It is now, a light blue, and contrasts nicely with the (Dark) blue variant. Install your main mod first, updated textures second. Allow all overwrites. -Revamped the way Opulent Mage items display for both regular Opulent and Melisaands versions. The non-enchanted versions will now sort separately, and to the bottom of your armor list. The expectation is, most intend to enchant and rename these anyhow. All > opulent MAGE gear, will properly sort together, regardless. -Rebuilt and rescaled item effects for both boots and hoods. New pricing and weights have been applied where appropriate. -Internal housekeeping IDs updated (No end-user impact). -Added facegen data for Melisaand. This should prevent any black face issues on her. -Updated 3rd person flags for a number of mage outfits(only) so amulets will display(or not) appropriately. -Some other minor internal updates and some stat tweaks. Standalone - Updated. It works again. Set Melisaands vendor type and some other additional settings for her. -Updated some standalone items so they did not share the same name as vanilla. The new outfits use the Robes of Mastery as the base. These were mostly assigned to mages whose classes are kind of vague and ill-defined. 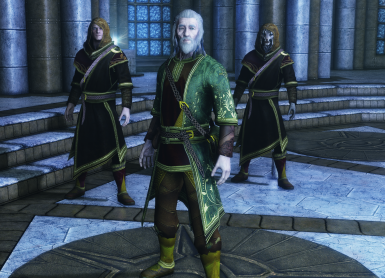 All mages outfits correspond to their stated expertise now across the board. Expert level trainers all wear expert level robes, masters, master level robes etc. The master (hooded) outfits have some minor clipping on female NPCs. Merged Standalone Merchant features with Replacer, and AIO-217. -Revamped the Opulent Robes of Mastery. There are now 4 tiers(versus 5), and the robes effects have been rescaled accordingly. Reminder: If you still have the separate standalone ESP from v2.3 in your /data directory after un-installing, be sure to delete that esp. A new version of Opulent Outfits All-In-One for 2017. All the current features of Opulent Mage robes and Monk robes, now with a completely overhauled Maids and Merchants component. 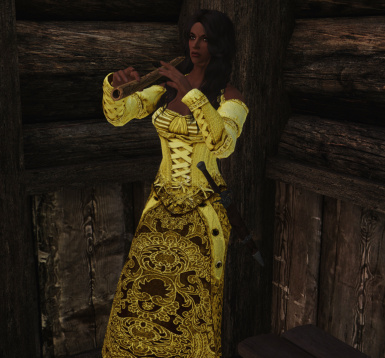 Female merchants, maids, bards, servants around Skyrim are now sporting a wide variety of bright colorful outfits appropriate to their situations and standing. -The Maids and Merchant content is no longer a replacer as was the case in previous versions. The new outfits are standalone, and in many cases, unique to the NPCs. All NPCs NOT given M+M outfits will wear vanilla outfits. There are no longer any replacer textures. -Completely revamped the Maids+Merchants Component. -Vastly improved textures, particularly, the merchant line, over previous versions. -More variety. Five discrete lines of dresses, in a variety of colors and tones. A merchant line, and 4 lines of Maid, Bard and Merchant style clothes. -A limited selection of M+M outfits are now available for purchase at Radiant Raiments. Dresses are not craftable, temperarble. They will not drop as loot unless taken from a deceased NPC. Some of the dresses however, can be purchased. Version 2.0+ updates are All in One only. -Replacer and Standalone remain as is (v1.9.5) and do not require any changes. 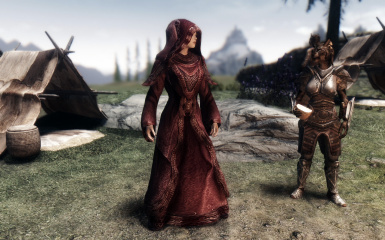 - Opulent Outfits now comes with its own framework for the sale and distribution of its content in a realistic manner via Skyrims vendors. 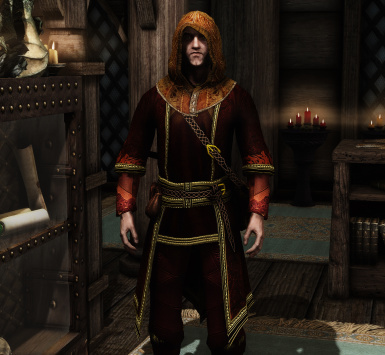 You will not be able to buy Opulent Mage robes in isolated backwaters like, Riverwood or Falkreath. Robes will drop as loot in world using standard vanilla rules. - Supports Hoods w Circlets. - Improved textures (SSE only). - Modernized and overhauled naming, weights, costs and effects. 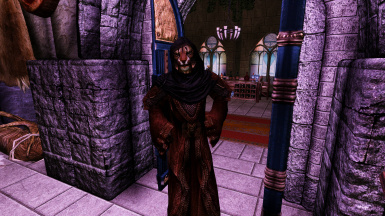 - A dedicated Opulent merchant selling enchantable Opulent mage robes now integrated directly into the mod. Outfit fixes. Both Vanilla, USSEP and the original OMoW, assigned many NPCs, outfits that did not accurately reflect their skill sets and or class. All racial texture, gender display errors from the 2013 versions, resolved. And many other improvements, new features, bugfixes and refinements besides. Additionally, Opulent fixes Radiant Raiments so it no longer carries beggars or miners gear. 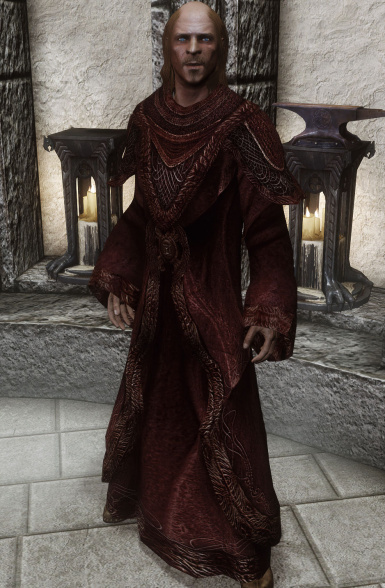 Ever thought it strange the snobbiest merchant in Skyrim sold beggar's rags and working mans gear, all while insulting you for your own fashion choices (even if you are wearing something better than anything they sell?). I found this odd as well, so RR inventory has been adjusted accordingly. Opulent Outfits utilizes 2k and 1k uncompressed textures and normals for the best visual quality possible. 2k - Robes, 1K -Boots & Hoods. Replaces Mage College + Court wizards with Opulent Mage Robes. 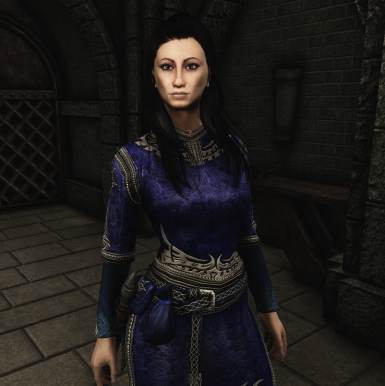 In addition, new monk, common, necromancer and Maids and Merchant outfits in a wide range of colors and styles, have been hand-placed on many of Skyrim's NPCs. -All in One Maids and Merchants content is no longer a replacer as it was in the 2013 version. -Consistent older people mod is a requirement for Opulent Outfits. 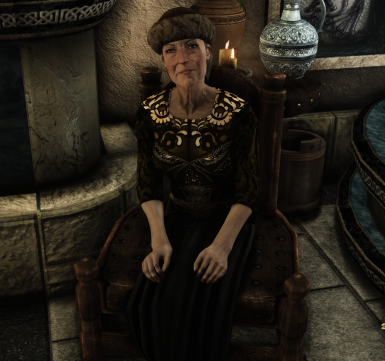 This allows for seamless neck\body textures on elderly npcs. 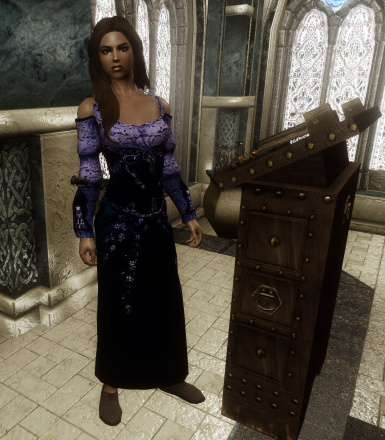 -A selection of Maid & Merchant outfits are now available for purchase at Radiant Raiments, Solitude. AI Overhaul - Archive contains a drop-in ESP for BOTH Main files(only). Overwrite and delete\disable the version you do not need. Note: if using both CRF AND Improved Bards, use the Improved Bards replacement ESP provided and not the CRF one, for best results. The 'basic' Opulent Outfits. Replaces Mage & Court Wizard outfits only. Usage: There is NO point in installing this version if you are running either Main file. The Opulent Vendor is included in the main mod. 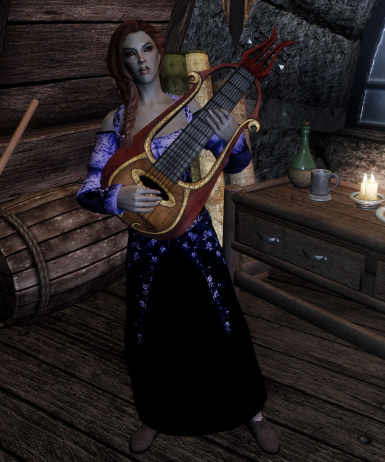 Standalone installs the Opulent vendor Melisaand to the College of Winterhold, her sale items, and no other features from the main Opulent mod. She does not sell Necromancer or Maids and Merchant content. Caster Robes only. No NPCs besides the vendor, will appear in Opulent attire. This separate version is provided for those NOT planning on installing either Opulent AIO, or Replacer, but still offers Opulent content via the vendor. This add-on can be installed alongside any other clothing mods, replacers or character overhauls w/o conflict. 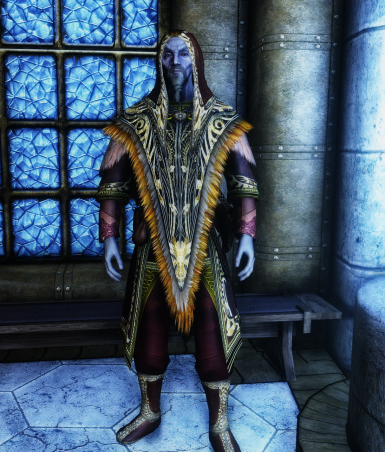 The Opulent Robe merchant is located in the courtyard of the College of Winterhold - All versions. 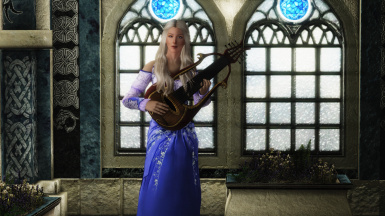 2) If you use any of the supported mods like Cutting room floor, or Improved Bards, install that and allow overwrite when prompted. 3) Optional: Install the updated Normals. Allow all overwrites. If a new version of Opulents is posted, you will have to re-install the updated normals. 4) Install any remaining optionals, example, Mage Robe Recolors. As always the last file you install, is what the game will utilize. Installation of Opulent Outfits into existing games\saves. Due to the way the game engine handles changes to outfits in existing saves(poorly), you may encounter some partially outfitted or even naked NPCs when you preform an update to Opulent files in existing saves. See troubleshooting guide for more detail on this issue. -All body types. Note: there is no weight slider support for bodies like UUNP. There is no issue with Dimonized UNP, or CBEE or any other body replacer. Where there IS an issue, is with mods like UNP Body Fit, that modify actual outfits in the game. Body texture replacers, do not touch clothing, so are perfectly compatible with Opulents. At worst, you (may) encounter some minor clipping. YMMV. -Cutting Room Floor - Use AIO replacement ESP provided. All ESPs have Jons letter placed on Olfina-Grey-Mane. -Immersive College of Winterhold SSE - Compatible via its installer. -Bijin Mods. 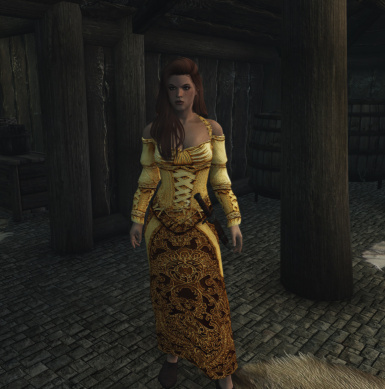 Highly compatible due to Opulent not assigning its outfits to NPCs covered by those mods. (exception: Brelyna). Bijin users will find her wearing the vanilla robe, and not the CONJ robe Opulent assigns her. There is no patch for this, as it only one NPCs starting outfit. Give her a conjy robe after you recruit her. -Rustic Clothing v3.0 - Replacer - fully compatible. -Rustic Clothing v3.0 - All in One: Largely compatible. 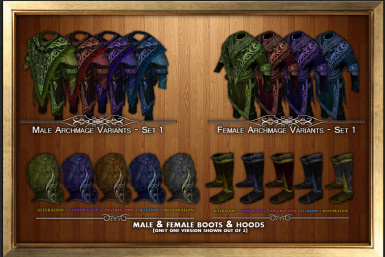 Rustic Clothing will attempt to overwrite Opulents monk and Arch-Mage textures. Simplest solution is to install Rustic Clothing FIRST, then opulent outfits, allowing Opulent to overwrite RCs textures where applicable. Regardless of install order, do not allow Rustic to overwrite Opulent content when prompted or you will lose Opulents monk and Arch-mage textures. Female NPCs will display Opulent textures. Males will display the updated Rustic textures. 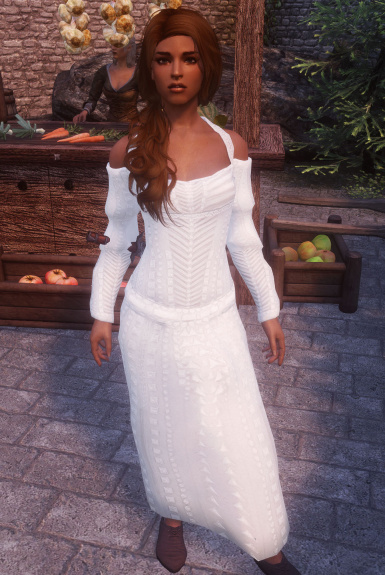 Rustic clothing is a recommended mod. Legacy of the Dragonborn. (file provided) A small fix that removes an Opulent Outfit from Ongar Brewer. This npc ends up with an Opulent Conj robe due to the way his outfit is configured. (He is not assigned one by either LoTD or Opulents). That outfit is not really consistent with either Opulent Outfits or, LoTD tbh. 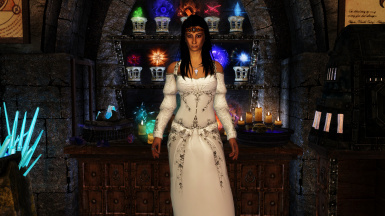 -Mods that alter the meshes or textures of vanilla mage, monk, common, fine or necromancer or farm outfits, tavern clothes etc. In some cases, simple load order adjustments may be sufficient to address such conflicts in favor of Opulent Outfits. 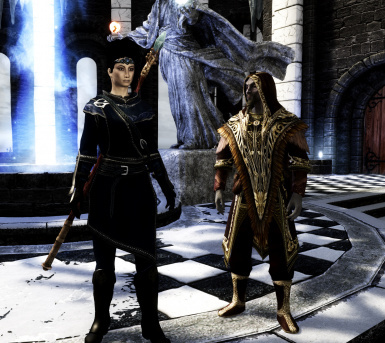 -Appearance mods that alter any of the Mages College NPCs court wizards, Calcelmo, Aicantar, Nelacar. -Blanket NPC overalls such as WICO for example, will conflict with the NPCs that are assigned Opulent Outfits. 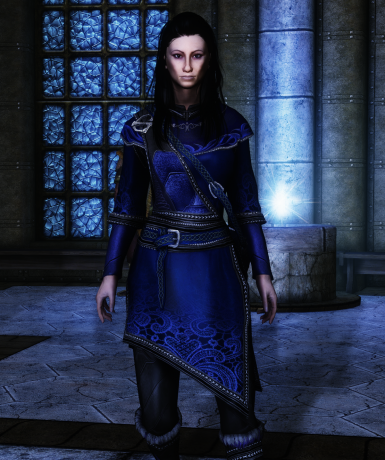 -Radiant Raiment Fine Clothes replacer mods (aka Embassy Party Clothes mods). 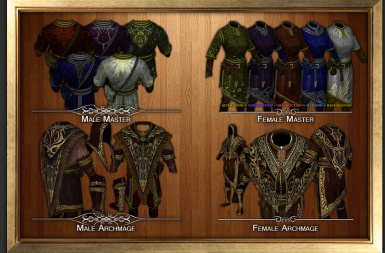 Place such mods below Opulent Outfits in your load order. -Armor and Clothing Extension - Not compatible. It will break Opulent Outfits. Generally speaking, Opulent Outfits should go BELOW any appearance mods. That class of mod will likely conflict at numerous points unless there is a compatibility patch for the specific mod in question. Example. 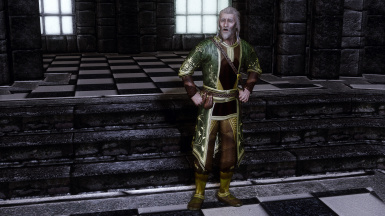 In certain cases, a mod could potentially revert NPCs outfits. This is not strictly a problem, so long as they are wearing are still wearing Opulent outfits. 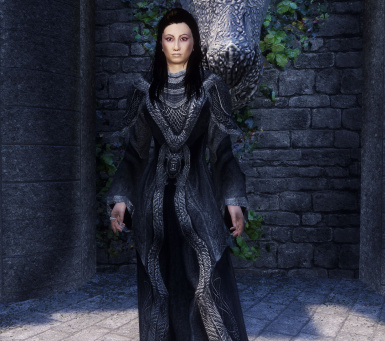 For example, Bijin mod users will find Brelyna wearing her default (vanilla), OPULENT robe, but it won't be the conjuration robe Opulent assigns her. While this could be considered a 'conflict' of sorts, it is not critical in any real way. If however, you find your NPCs are not wearing Opulent outfits at all due to mod conflicts, that will require more attention on your end. Check out these fine mods and thanks to both them for featuring my work.